I am back with another review for my current homemade product obsession. I have review their best seller lip scrub, you can check it here - click me. Gula Co! If you have been following me in Instagram, you know that I got a handful of Gula Co products to try! I am very excited. What makes me more excited is that I got all of the lip balm flavors! Yum! You know I am a lip balm hoarder, Muahahaha. 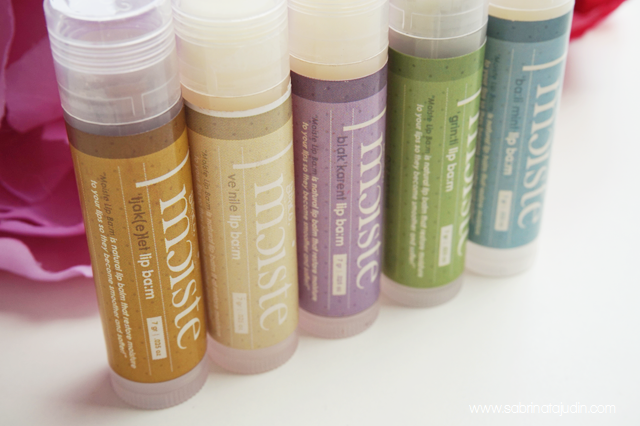 In the Moiste Collection it features 5 different flavors. The way that they spell the flovors name are pretty cute, from left to right tjak(e)let (chocolate), ve'nile (vanilla), blak'karent (blackcurrant), 'grin:ti (green tea) & 'ba:li mint (Barley Mint). What I like about it. It pretty hydrating and the flavors are unique. No artificial flavors or tacky kinda taste to it. I love how simple and adorable the packaging is. 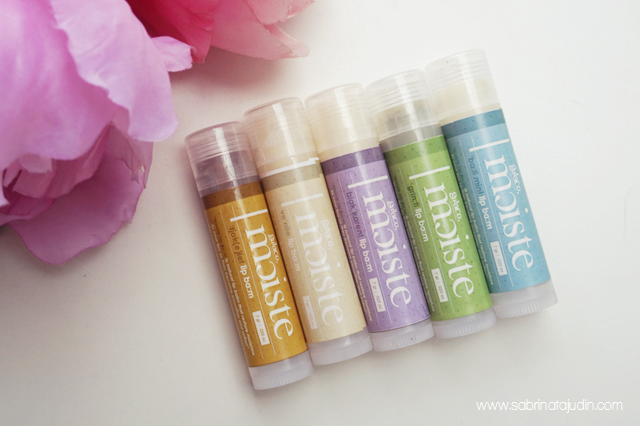 The name is unique, and it is a pretty cute and special lip balm to have. What I find different from other normal chap-sticks is that the lip balm is a little bit "firmer" and "hard to touch". It does not easily melts during hot weather. If you experience lip balm meltdown when you put it in your car or something. 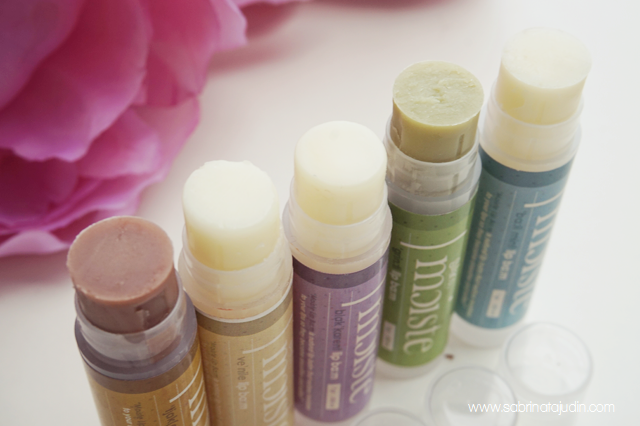 This lip balm is formulated without Parfume, Colorant, Parabens, Formaldehyde, Mineral oil & Petroleum! What I don't like about it. So far I have been loving this lip balm! Overall & Recommendation. Its all natural! Why can you resist. No overpowering scent and flavor, no greasy and too much wax feeling on your lips. If you are looking for a lip balm for your self or even as a gift I really recommend this. It is pretty much same to other lip balm out there but thinking of how personalize and cute this lip balm is. You got to give it a go. My favorite flavor is ve'nile & blak'karent. Oh and if you like non minty type of lip balm, this is also for you! Have you tried Gula Co Lip Balms? I always love your reviews Sab. Never miss a post! the names are so cute!! ve'nille! ah~ i wonder how that tastes like. me too have been putting a lot of lip balms under my wet n wild lipstick so it won't be drying too much. like vanilaaaa! hehe lip balm is a good base before lipstick. What 7g means sab? Hehe. I wear lipbalm on my daily basis. Before this I use in2it but currently I am using Revlon and love it to bits! omg typonessss.... fixing it now! The names of the lipbalms remind me of the Phonetics & Phonology subject that I once studied during my degree. The names spelled are actually the production of speech sounds made by humans. Let say 'grin:ti' , you can easily pronounce it as green tea (we are supposed to pronounce the word green as GRINNNN if there's happen to be the colon(s) in it). Kena panjang harakat camtu.haha. But when you see ' tjak(e)let' alone without the word 'chocolate' beside it, some of us wouldn't have any idea what the heck should that be pronounced.hahha.. I know it's confusing right? I guess only language students or who have learnt phonetics&phonology je yang tahu betapa "menderitanya" subjek tu.hahah! actually the "tj" in tjak(e)let sounds as "cheh"..like the early sound we make when we pronounce "cheese"..study subject yang melibatkan bunyi memang pening la. bila habis paper tu, semua org lega.hahah! i see that the blak'karent is there.. love to have that.. hehehe.. price pun affordable. and of coz sebab it's natural ingredient.. love it so much..